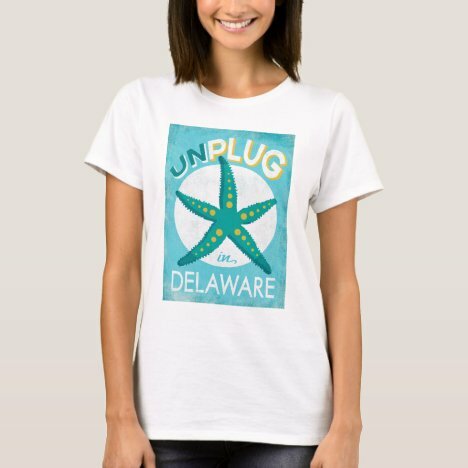 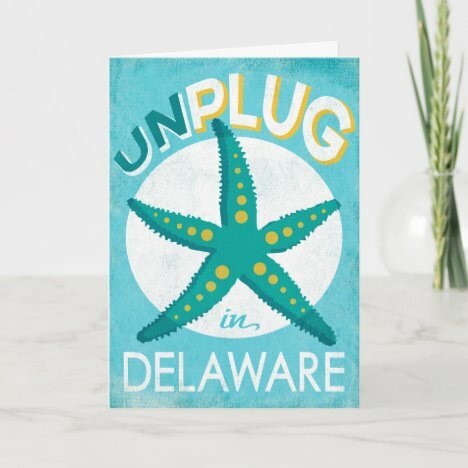 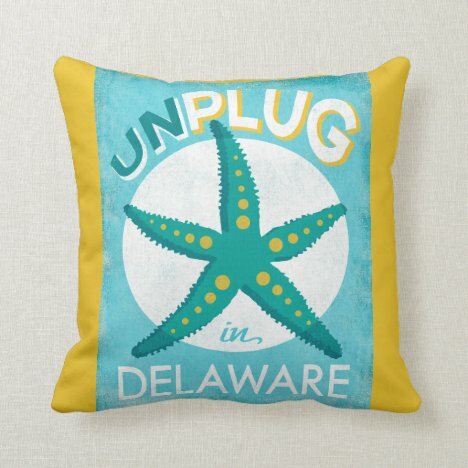 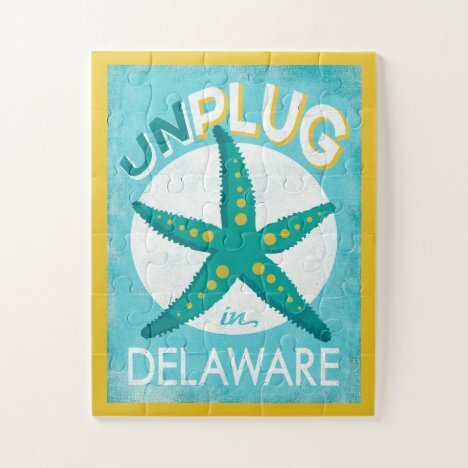 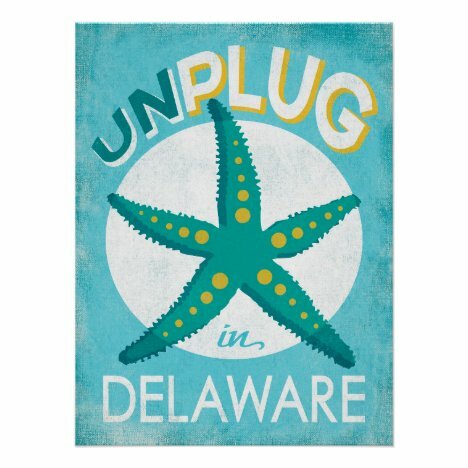 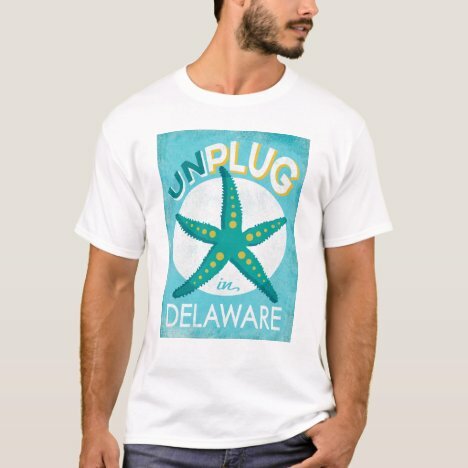 Unplug In Delaware is the directive of these cool Delaware state gift items. 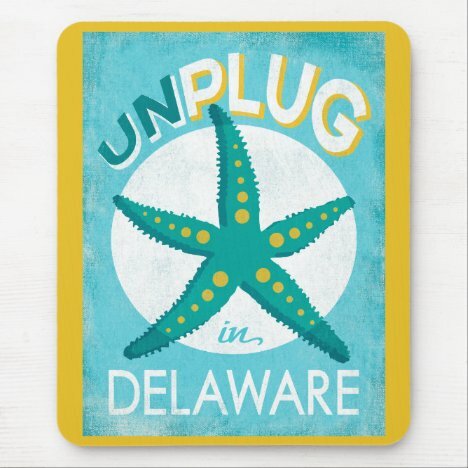 Featuring a vintage starfish in the center on a turquoise background with yellow and white retro lettering, you’ll want to unwind and leave your technology behind when on a sweet, summer Delaware vacation. 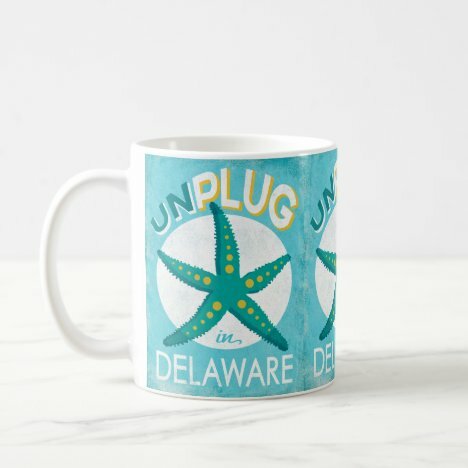 Available as Delaware coffee mugs, Delaware jigsaw puzzle, cool vintage Delaware postcards, Delaware posters, Delaware t-shirts and more. 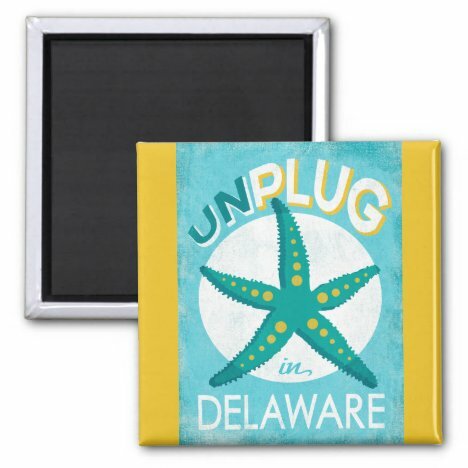 See the full Delaware Starfish collection at Scuba Flag Gifts.